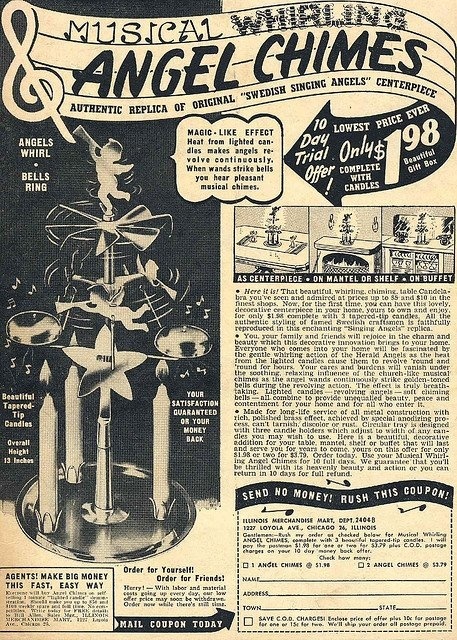 Do you remember Christmas angel chimes? These little chime sets were brass. They had lots of little pieces that needed to be put together each year. (I loved doing this as a little girl!) 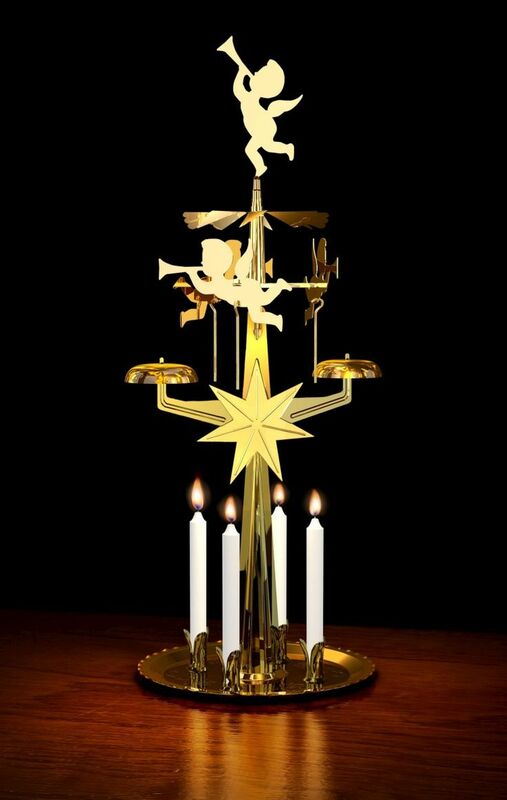 Once you put the set together, the candles provided heat that caused the little angels to spin. This was an annual part of Christmas during my childhood - I still have my angel chimes. I found a magazine advertisement for the chime sets, although I recall them being sold at dimestores and local stores. I also found a video to share with you, showing the chimes in action (below). Do you remember these? I'd love to hear from you in the comments, below. This is so cute! I don't remember it, but I love it :) Thanks for sharing! Oh. My. God. You seriously almost made me cry. I actually felt my heart squeeze when I saw these. They were the best!!!! Thank you so much for visiting and commenting! Heather, so neat that you remember these too.